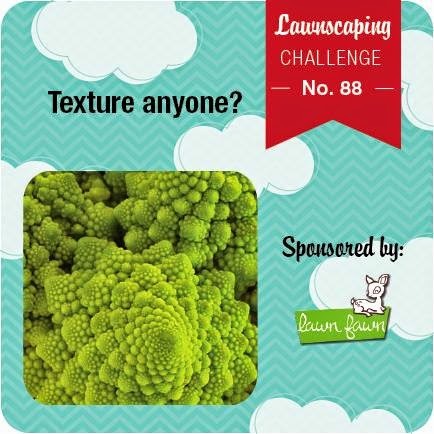 So, welcome back to a new challenge over at Lawnscaping! Time is passing so fast....hard to believe we are in a new challenge, and who doesn't like texture! Texture is a lot of fun on projects! You know what else is fun....having Lawn Fawn as our sponsor!! YES!! For texture on my card, I used an embossing folder from Lifestyle Crafts. I think this one, because for this project, I used it as a dirt road :) I embossed my piece with kraft card stock, and then added a bit of Walnut Stain Distress Ink to bring out the embossed pattern a bit more. 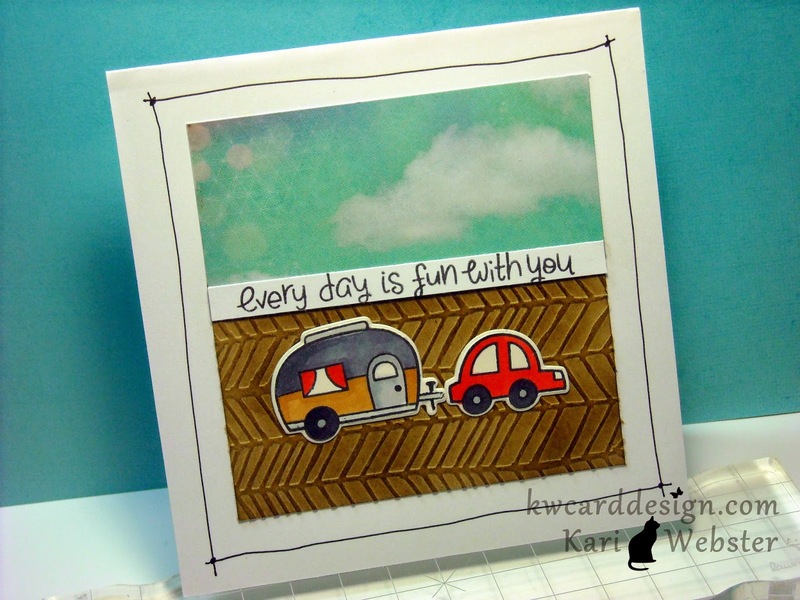 Then, I stamped out my images from Happy Trails in MFT Licorice Hybrid Ink, and then colored with my Copics. To cut the images out, I used the coordinating dies (I hate to fussy cut). I had a piece of cloud pattern paper in my stash that I thought would be a good fit for this card....by the way..my card is a 5.5 x 5.5 inch square card. For my sentiment I used the ones from Love You S'more. I also stamped that out in the same MFT Hybrid ink. Then, I just started to adhering all of my pieces to make my little scene. I think it turned out pretty cute. So I hope you are able to join us for yet another fun challenge!! Lawn Fawn will be giving a $25 gift certificate to the lucky winner!! If that is not incentive, I don't know what is!! Have fun crafting! Oh I love this card!!! The background is awesome!! And I love that happy trails set!! So adorable! !